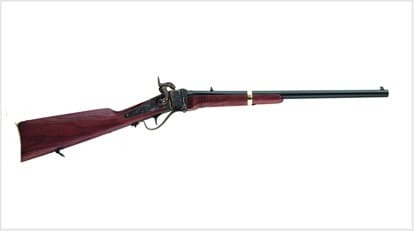 Enthusiasts of the Sharps .50 caliber buffalo gun will tell you that while the Winchester rifle has been credited with winning the Wild West, it was really the Sharps that made things safe enough for the Winchester to do so. The awesome stopping power and range of the Sharps made it practically a piece of hand-held piece of artillery. Shiloh makes reproductions of historic black powder rifles including the legendary 1874 Sharps. Based on a design by inventor Christian Sharps, the first rifle in the line was patented in 1848 and manufactured by the A.S. Nippes Co. in Philadelphia, Pa. Later, the operation was moved to Connecticut where its carbine version became one of the most popular rifles used by armies on both sides of the Mason-Dixon line during the Civil War. Sharp-shooters and snipers particularly appreciated the guns revolutionary “slanting” breech, but the gun also featured a priming device that rotated a new primer cap each time the trigger was pulled and the hammer fell, allowing a rate of 10 shots per minute eclipsing the rate of fire of for even the most skilled soldier carrying a muzzle loader of the day. The primer system made the rifle much easier to fire from horseback, and it was used in the Indian Wars of the 1870s. The buffalo gun however made the biggest noise and gained a well-deserved reputation among frontiersmen for its unparalleled power. A single-shot weapon, opening the breech on the .50 caliber would eject a spent shell in readiness for the next round. The weapon also featured a unique “two trigger” setup in which pulling a rear trigger set the front trigger ready for discharge at the slightest pull, allowing the gun to be steadied for a long distance shot. 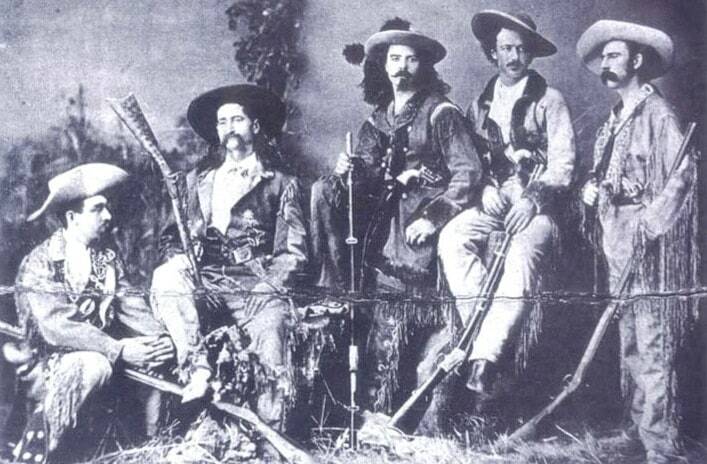 Before the Sharps rifle, hunting buffalo meant riding alongside the beasts with smaller rifles while on horseback, shooting at close range—a dangerous stunt that often precariously scattered the herd. The Sharps boasted one-shot kill power. 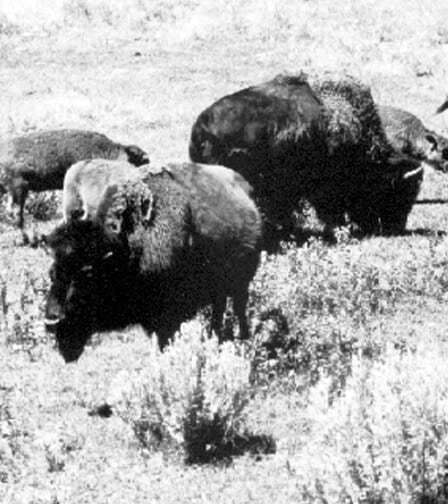 Buffalo could be killed from great distances without the animals being able to detect the physical presence or smell of the shooter and thus stampede. The uncomprehending animals could be dropped, one after another—leading to single parties taking hundreds in a day and leading to these beasts’ flirtation with extinction. And in this light, the gun became a kind of weapon of mass destruction of its day, one that was co-opted specifically for the purpose of killing buffalo. Some of the early-day shooters used a prop to steady the weapon when making a long-distance shot. During the second battle of Adobe Walls in June of 1874, approximately 700 Comanche, Cheyenne and Kiowa warriors besieged 28 buffalo hunters sheltering in the ruins of a fort in the Texas Panhandle. The tribesman has already suffered heavy casualties from the hunters’ long-distance Sharps guns when a hunter named Billy Dixon, reportedly using a .50 caliber model, dropped a brave off his horse on a ridge 1,500 yards distant. Discouraged, the tribesmen broke off their attack. Within a year, their sovereignty over the Southern Plains had been broken. Bryan said the big gun does carry a kick when discharged. “I knew one old guy who broke his collar-bone while shooting the gun in a reclining position,” he recalled. The bullet travels at a speed of 1,300 feet per second. Bryan said the gun remains a popular model today.